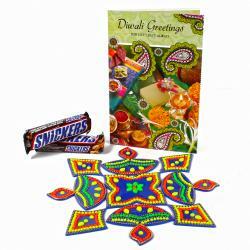 Product Consists : Cadbury Celebration Chocolate Pack (Weight :140 gms) along with Blue Shaded Artificial Diwali Rangoli Design (5 Pieces with 1 Center Ethnic Golden Print Piece) and Tealight Candle. 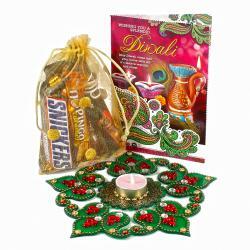 Give your loved ones a reason to smile by treating them to this splendid gift hamper brought to you by Giftacrossindia. 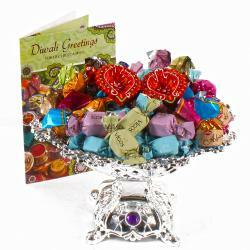 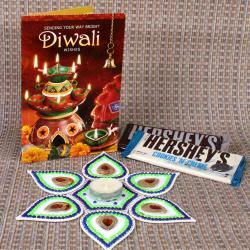 The hamper comprises of a stunning blue Shaded Artificial Diwali Rangoli Design (5 Pieces with 1 Center Ethnic Golden Print Piece) and Tealight Candle along with yummy Cadbury Celebration Chocolate Pack with Diwali greeting card, You can send this delightful hampers to your loved ones online on occasions like Diwali, New year and so on. 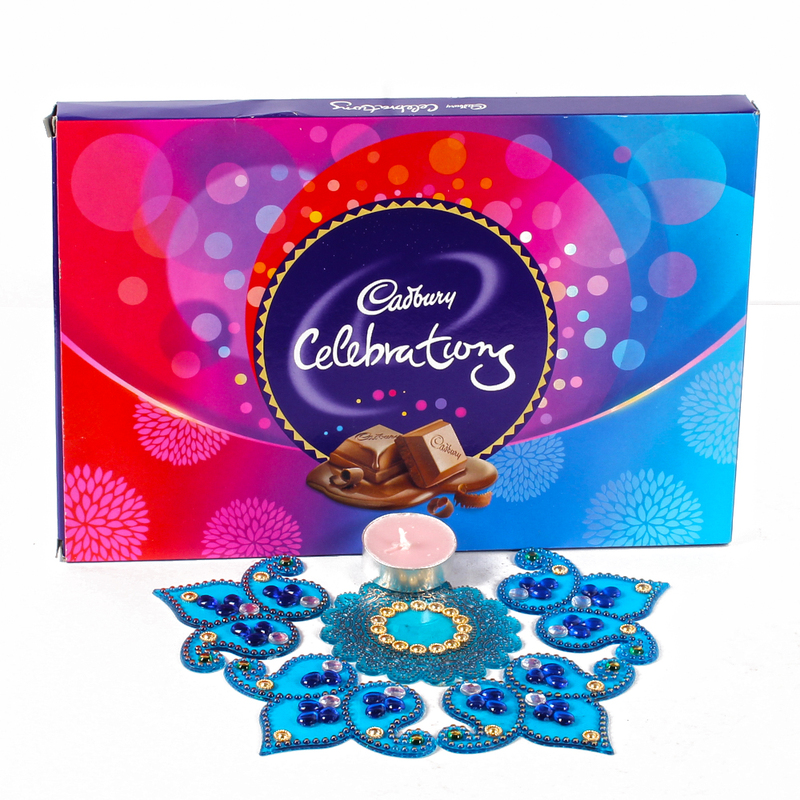 Product contains : Cadbury Celebration Chocolate Pack (Weight :140 gms) along with Blue Shaded Artificial Diwali Rangoli Design (5 Pieces with 1 Center Ethnic Golden Print Piece) and Tealight Candle.